“Harley” is a ham. Extremely loveable and captivating, he really draws people in. He’s kindhearted and completely dedicates himself to the task at hand. Harley’s always a contender in the pre-children’s or children’s hunters, both on the flat and over fences. 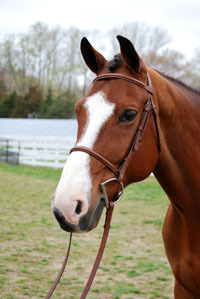 He currently teaches our beginning riders how to jump, giving them confidence in the show ring.